Closure of Ethiopia’s Most Notorious Prison: A Sign of Real Reform or Smokescreen? ADDIS ABABA, Jan 26 2018 (IPS) - Ethiopia’s most notorious prison lurks within the capital’s atmospheric Piazza, the city’s old quarter popular for its party scene at the weekend when the neon signs, loud discos and merry abandon at night continue into the early hours of the morning. The troubling contrast is one of many in this land of often painful contradictions. The Ethiopian Federal Police Force Central Bureau of Criminal Investigation, more commonly known by its Amharic name of Maekelawi, has for decades been associated with torture and police brutality—a symbol of the dark underside of the authoritarian nature of the so-called Federal Democratic Republic of Ethiopia. The EPRDF has long been criticised for using draconian anti-terrorism charges to detain political prisoners, and then in true Orwellian fashion arguing those charges mean there are no political prisoners in Ethiopia. But this January 3, Ethiopian Prime Minister Hailemariam Desalegn announced the government would close the detention centre and release prisoners, including those from political parties. An unprecedented action by a government not known for compromise rather for its stubborn intransigence to criticism of its oppressive methods, it took most by surprise, resulting in guarded praise from even the government’s staunchest critics such as international human rights organisations. Since the announcement, though, subsequent proclamations from the government have muddied the issue and led many to question the government’s sincerity amid general confusion on all sides regarding the practicalities and terms of prisoner release. What most observers seem more sure of is that the episode illustrates the speed and scale of change occurring among the four parties that constitute the ruling Ethiopian People’s Revolutionary Democratic Front (EPRDF) party. “The decision was a concession to the very strong demand made by the Oromo People Democratic Organisation (OPDP) which governs the Oromia regional state,” says Awol Allo, an Ethiopian lecturer in law at Keele University in the UK, who can’t return to Ethiopia for fear of arrest. The EPRDF was the brainchild of the Tigrayan People’s Liberation Front (TPLF), a Marxist-Leninist movement that spearheaded the defeat of Ethiopia’s former military dictatorship the Derg to liberate the Tigray region, whose Tigrayan ethnic group constitute only about 6.5 percent of Ethiopia’s more than 100 million population today. In the final days of Ethiopia’s civil war, the TPLF orchestrated the creation of three satellite parties from other elements of the rebel force: the OPDO, the Amhara National Democratic Movement (ANDM), and the Southern Ethiopian People’s Democratic Movement (SEPDM) to ostensibly represent their respective ethnic groups but which enabled the TPLF to consolidate its grip on power after the Derg fell in 1991. That grip became vice like over the years—the TPLF dominates business and the economy as well as the country’s military and security apparatus—much to the consternation of Ethiopia’s other ethnic groups, especially the Oromo. 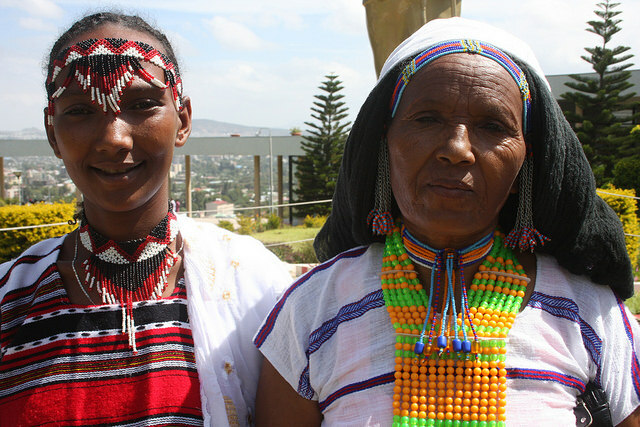 Constituting 35 percent of Ethiopia’s population, the Oromo are its largest ethnic group. They also constitute the largest proportion of inmates at Maekelawi and in the rest of country’s federal and regional prisons. This, Allo notes, cannot be explained simply by the numerical size of the Oromo population. “There is a disproportionate and indiscriminate repression of the Oromo because they are suspected to pose a threat by virtue of their status as the single largest ethnic group in the country,” Allo says. That perceived threat has only increased in the government’s eyes—as well as among some of the other ethnic minorities in the country such as the Somali—since November of 2015 when Oromos took to the streets at the start of a protest movement that continues to this day. And since the protesting Oromo were joined by the Amhara in 2016—the two ethnic groups representing 67 percent of the population—the government has had to recognise the depth and scale of anger against it. 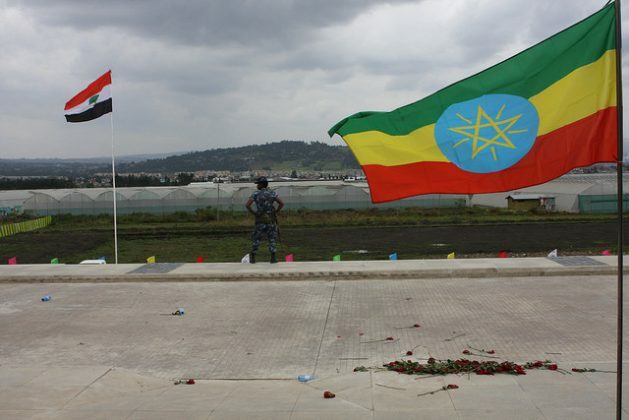 Hence it is now trying to appease the groundswell of discontent in the country that poses the greatest threat to the country’s stability—perhaps even the survival of the Ethiopian nation state itself—since 1991; the risk of state failure in Ethiopia saw it ranked 15th out of 178 countries—up from 24th in 2016—in the annual Fragile States Index by the Fund for Peace. The problem, though, with such mollifying efforts by the government, as with the current announcement, is they usually don’t go the necessary distance. The EPRDF has long been criticised—domestically and internationally—for using draconian anti-terrorism charges to detain political prisoners, and then in true Orwellian fashion arguing those charges mean there are no political prisoners in Ethiopia. Human rights groups have estimated political prisoner numbers in the tens of thousands. With the announcement about Maekelawi and the prisoner release, however, it initially appeared the government was making a clear break with the past and acknowledging the existence of political prisoners. But soon afterwards it tried to backtrack, with government spokespersons vacillating about what had been meant by political prisoners. “The announcement of the release of prisoners is highly symptomatic of the disorganization, if not the cacophony, among the leadership,” says René Lefort, who has been visiting and writing about Ethiopia since the 1974 revolution that ended emperor Haile Selassie’s reign and brought in the Derg military dictatorship that would fall to the EPRDF. Such political flip-flopping and indications of infighting in the government leave some with little confidence about the significance of the promise to end Maekelawi’s history of torture and ill-treatment, as documented in chilling detail by Human Rights Watch. “The closure of the torture chamber does not signify anything because the government will undoubtedly continue the same practise at other locations,” says Alemante Selassie, emeritus professor at the William and Mary Law School in the US. Others are less sceptical of the government’s motives. On Jan. 15, Ethiopian Attorney General Getachew Ambaye gave a briefing saying that charges at a federal level brought against 115 prisoners had been dropped as part of the first phase to release jailed politicians and other convicts. Although the attorney general did not mention names of prominent political figures imprisoned, on Jan. 17. Merera Gudina, leader of the Oromo Federalist Party arrested in 2016, was released. The attorney general added that the Southern Ethiopia Nations, Nationalities and Peoples Regional State—a region of more than 58 ethnic groups—had dropped charges against 413 inmates also, and that other regions would follow suit in the next couple of months, with political figures in jail who have been “convicted” of crimes given amnesty. At the same time, though, it appears the jury remains very much out on whether the government is genuinely committed to democratization and achieving a national consensus in the longer term. Which leaves the big—possibly existential—question facing Ethiopia: whether the government can and will come up with the necessary strategy and then implement it successfully in time for the 2018 local and 2020 national elections.